When the golf course architectural firm Robert Trent Jones II was commissioned to design a new golf course on the vast sandy canvas of an abandoned rock quarry along the shore of Washington state’s Puget Sound, it was handed a unique design brief. First, the course should be capable of testing the world’s greatest players and of taking its place among the handful of courses capable of hosting a major championship. Second, because it would be built on what amounted to artificial links-land, the by-product of harvesting rock from a vast accumulation of eroded alluvial flowing down from the foothills of Mount Rainier, the course would not echo the parkland style typical of the Pacific Northwest’s courses, but instead would echo the character of the classic links of the British Isles. Robert Trent Jones, Jr., the Chairman and Chief Designer of RTJII, pointed his design team toward Scotland and Ireland for inspiration. 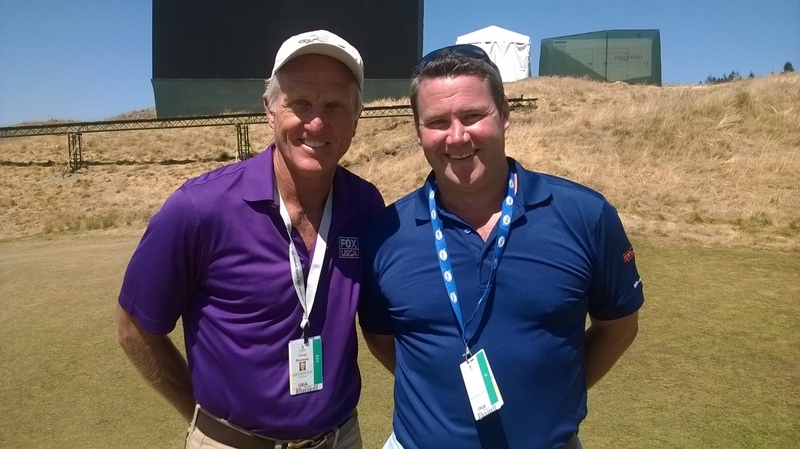 Jones’s experience with Dublin-based Turfgrass Consultancy on a number of projects throughout Europe led him to reach out to the firm for advice on the most appropriate grass types to use at Chambers Bay. 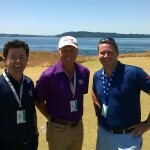 Jones and Bruce Charlton, RTJII’s lead designer on Chambers Bay, recruited the agronomists of Turfgrass Consultancy to advise them not only on the appropriate grasses but also on the proper grow-in regimen to produce a course which would play firm and fast, in the manner of a British links, rather than lush and soft like a parkland course. Collaborating with RTJII and local experts, Turfgrass Consultancy recommended fine fescues, producing a course very much in the tradition of the classic links courses. When the course opened in 2007, it was immediately recognized as the singular links golf experience which its creators had envisioned. In 2008, the USGA announced that both the 2010 US Amateur and the 2015 US Open would be contested at Chambers Bay, a remarkable endorsement of both the course and the local government which had committed public resources to create Chambers Bay as a stimulus for the local economy. The team of golf architects, builders and consultants who had brought the dream to life would also enjoy an enduring sense of accomplishment. Fescue was also the appropriate choice for a walking only golf course, and on greens designed with dramatic undulations, as links typically are, so they can be maintained at appropriate speeds for conditions. Putting and the short game, Clarkin and the Turfgrass Consultancy team anticipate, will determine the outcome of this US Open more than sheer power. As the day quickly approaches for the inaugural tee shots at the first US Open ever to be held in the Pacific Northwest, players have begun to express their anxiety about contending on a links course whose character and challenges as a championship venue have yet to reveal themselves. The USGA will be the final arbiter, as always, in the course’s setup as it seeks to identify America’s national champion golfer for 2015. 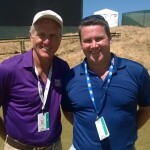 On the Monday of Open week, Clarkin walked the course with Greg Norman, Fox Sport’s expert analyst for the network’s first ever telecast of a US Open, identifying the places where the fairways adjacent to the closely cropped fescue greens, with turf practically indistinguishable from the greens proper, will repel barely miss-hit shots and send them careening back down the fairways as much as 130 yards. Because it has more elevation change than any Open course ever, with the 4th, 7th, and 13th holes particularly set into the base of the steep engineered slope on the eastern edge of the course, Chambers Bay is likely to produce an unprecedented level of focus and anxiety for even the great professionals competing at the Open. Ireland’s Turfgrass Consultancy is proud of its contribution to the creation of a true championship golf links in America. And as for the Open’s contribution to the local economy? Reg Jones, the Senior Director of the US Open Championship, noted recently that the low estimate for the Open’s impact on the regional economy is $140,000,000. 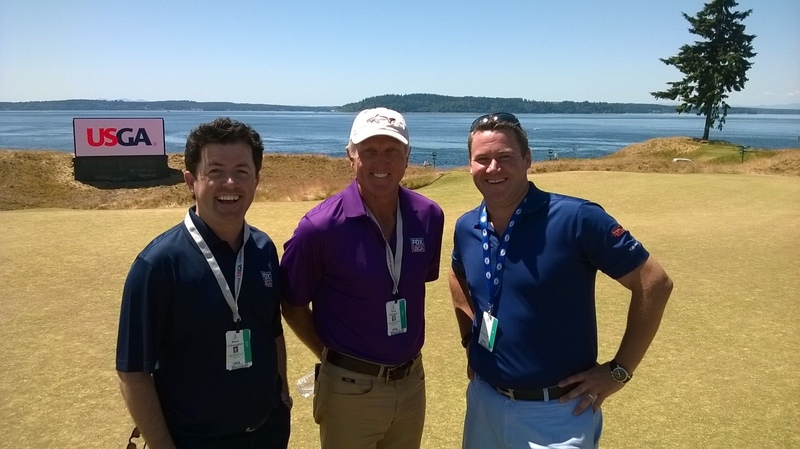 The reality at Chambers Bay may well exceed the dream. Text and Photos courtesy of John Clarkin and Julian Mooney of Turfgrass Consultancy.